This collection of Cat Wellness Checkups articles has been curated for you by Georgia Veterinary Associates. If you would like to talk to a veterinarian, please give us a call at (678) 201-1373. What is Feline Immunodeficiency Virus (FIV)? Did you bring home a new pet for the holidays? Welcoming a furry member to the family is an exciting time, and it can be easy to forget a few simple but important steps to ensure life with your new dog or cat begins on the right paw. Get a head start on a happy, healthy life together with these tips. The world loves grumpy cats (just ask Grumpy Cat herself). We tend to think of our feline friends as sassy, independent, and apathetic creatures—and for many cat lovers, that low-key attitude is all just a part of their charm. But are our cats really unhappy? In honor of Happy Healthy Cat Month, here are six ways you’ll know if your cat is living his best life (even if he’ll never admit it). One popular myth about cats is they’re happiest having the freedom to go outside. This is far from the truth. There are many cats who are born and raised indoors who have no interest in going outside and would panic if they found themselves on the wrong side of the door. Is It Safer For Cats to Stay Inside? 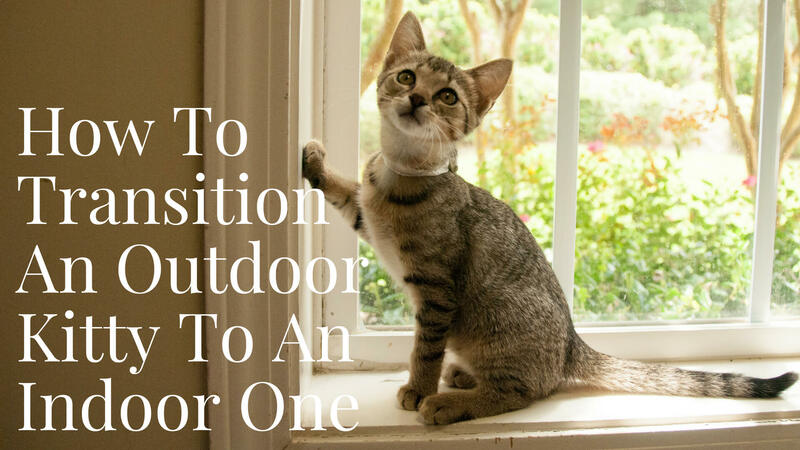 If you feel your kitty should roam the great outdoors, you’re not alone. Many cat lovers feel their cat is happiest lounging in the fresh air or stalking unsuspecting prey. However, there are many reasons why it’s safer for your kitty to stay inside - traffic being one - and many cat owners are realizing the dangers of life outdoors. Integrative Medicine: What Can a Tongue Tell Us? Did you know you can get clues about how your pet is feeling just by looking at his/her tongue or feeling his/her pulse? An Exam Before Vaccines: Does My Pet Really Need This? You get a reminder email, text, or postcard -- your dog or cat is due for a vaccine or two. Time to make an appointment! You arrive for a simple visit with your healthy pet, and then a Licensed Technician or even the doctor begins a full, thorough exam. Cat Vaccinations: Which Ones Are Necessary? Sometimes it seem as if there’s a battery of vaccinations, especially if your cat is young and you may wonder if they’re all necessary. Truth is, veterinarians generally divide cat vaccinations into “core” and “noncore” vaccines and the “core” ones are certainly needed as part of your cat’s health protocol. For example, the rabies vaccine is legally required around the country. Which is a good thing because you wouldn’t want your kitty facing a rabid creature -- at all, but certainly not without protection. Georgia Veterinary Associates is a group of 4 privately owned animal hospitals in the metro Atlanta area.